Soak the bamboo skewers in water for at least one hour (this reduces the chance of the skewers burning). Combine the sweet chili sauce, lime juice, ginger, and mint in a small bowl. Slice the scallions and set aside. On a clean surface place a mango square in between the tail and top of a shrimp. Insert the bamboo skewer through the shrimp and mango. 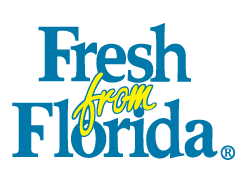 Repeat the skewering process until all shrimp are skewered, store in the refrigerator until ready to grill. 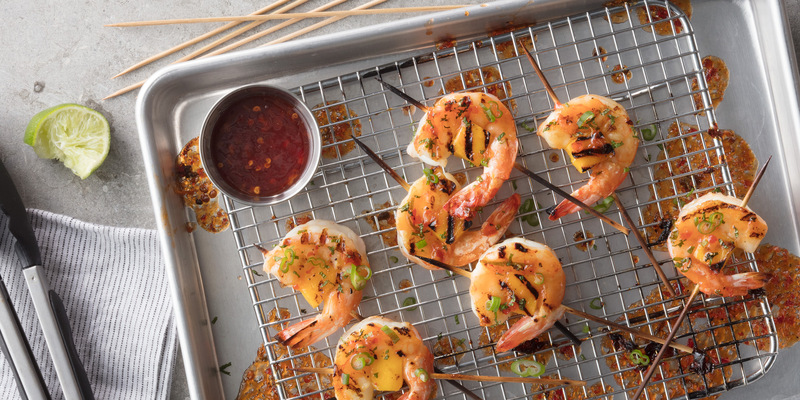 Preheat a charcoal grill and cook the shrimp and mango skewers. When the shrimp is close to being cooked through, glaze with the sweet chili sauce. Sprinkle with the sliced scallions and serve.